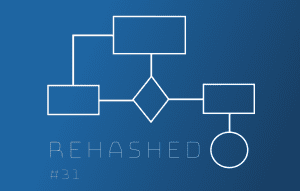 Rehashed #33 - Forking: Feature or Bug? Register a user account with us. A wallet is essentially a bank account for your cryptocurrency and the wallet address is like your account number. The sender of the cryptocurrency needs a wallet address so they have somewhere they can send it from their wallet, much like a bank transfer. This wallet is giving you access to the blockchain where you can view your balance, send and receive cryptocurrency. For information please read our beginners guide to cryptocurrency wallets. Pay with POLI. Its fast! POLI is secure and fast. It links directly to your internet banking – login with your normal details and the rest is easy. No extra fees or surcharges. Watch this short video to see how it works. 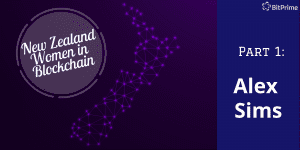 Bitcoin (BTC) is a form of digital currency in which encryption techniques are used to regulate the generation of units of currency and verify the transfer of funds. Transactions are stored on a distributed, immutable, online, public ledger known as a blockchain. Bitcoin was the first truly decentralised cryptocurrency which was created by a programmer under the pseudonym Satoshi Nakamoto and was released in 2009. The system is peer-to-peer, verified by network nodes and recorded in a public distributed ledger called the blockchain. Bitcoin can be exchanged for other currencies, products, and services with over 100,000 merchants and vendors accepting bitcoin as payment. Bitcoin can also be held as an investment. There are only a fixed number of Bitcoin will ever be mined (21 million), it’s not controlled by any one government or central bank, and there’s no such thing as quantitative easing or fractional reserve banking. These qualities make Bitcoin excellent as a store of value and a long-term safe-haven asset, similar to gold. A Bitcoin success story that went viral on social media is Kristoffer Koch from Norway. Koch invested around $27 in Bitcoin in 2009 and then forgot about it for four years. He remembered about his Bitcoin wallet in 2013, which had then grown in value to $886,000. Due to the price of sending and sourcing BTC the minimum order is $500.00. 9am – midnight, 7 days.